Win a Microsoft Surface Book! 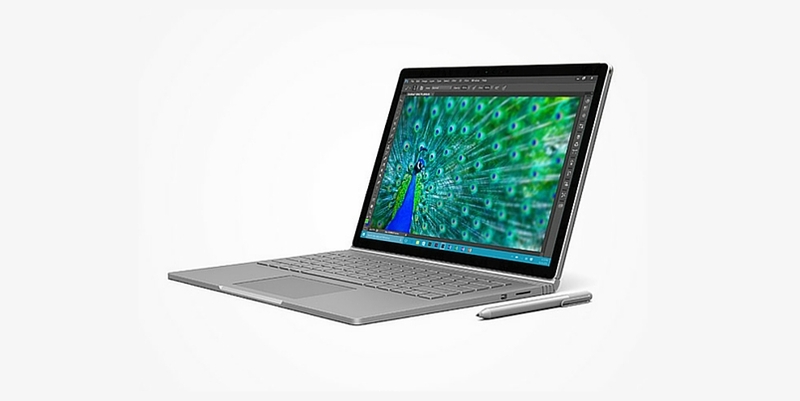 The new Surface Book from Microsoft is just as great for personal or business use. The 13.5-inch laptop features a killer display with incredible resolution (3,000 x 2,000), and includes the Surface Pen for a pen-on-paper effect. But why spend $1,499 of your hard earned cash, when you can win one on TNW Deals? The Surface Book is easily one of the best notebooks on the market. Running Windows 10 Pro and packing a detachable screen to be used as a clipboard, it handles demanding, creative tasks with ease and fluidity, lasting up to 12 hours per charge. A very low weight (3.34 pounds ) and longer-lasting battery means it’s far more convenient on the go. The Surface Book is Microsoft’s best hardware yet. For a chance to win one, simply head to the contest page and fill out the online entry form with a valid email address, and you’re automatically entered. Share the giveaway on Twitter, and once you get some friends to enter, you’ll receive additional entries to win. One registration per person please!